Bumbo International and the U.S. Consumer Product Safety Commission (CPSC) announced a voluntary recall of Bumbo baby seats on August 15. The Bumbo baby seat is sold at major retail stores, such as Walmart, Toys R Us, and Target. The recall follows at least 50 reports of children falling out of the baby seat during use on a raised surface. The same baby seats were recalled in October 2007 after 28 reports came in to the CPSC that babies arched and wiggled their way out of the seats and fell out. Three of these incidents resulted in skull fractures. 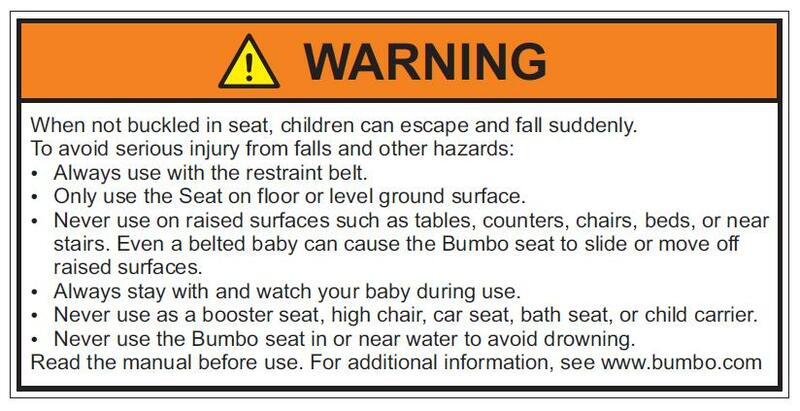 Bumbo recalled the seats and added a label on the seats warning against use on raised surfaces. Since 2007, there have been nineteen other reports of skull fractures in babies that maneuvered out of the seat and at least 34 reports of other injuries. Bumbo is issuing a free repair kit to consumer who bought the baby seat.The repair kit includes a restraint belt with installation instructions and an additional warning sticker. The sticker admonishes consumers to use the restraint belt at all times and to supervise the baby constantly while using the seat. It warns against using the seat on raised surfaces such as beds or chairs and against using it the seat as a booster or to carry a baby. More information on ordering a free repair kit is available on Bumbo’s website. In California, the defendant does not need to have previous knowledge that the product was defective to be liable for it. If your child suffered injury from a defective product like the Bumbo baby seat, contact the Brod Law Firm today for a free consultation. We want to help you navigate the legal system to fight for the just compensation you deserve.